The excitement has been palpable for months. From the moment that we first spotted the “coming soon” signage announcing their arrival in Liberty Village our thoughts have been trained on the opening of this incredible restaurant, known for its mouth-watering menu items and fast and friendly service. Now it’s official! Pizzaville opened their doors in Liberty Village in April, 2017 and we have to say, we’ve enjoyed more than a few slices of their tasty pies since welcoming them into our hood! The foodie scene in Liberty Village just got an extra serving of stone-baked, made-to-order goodness and it was delivered right on time! As far as eateries and restaurants go, Liberty Village has embraced the trendy, the tried and true and the downright deeeeeelicious. For us, Pizzaville represents yummy helpings of all of these things. Allow us to explain. 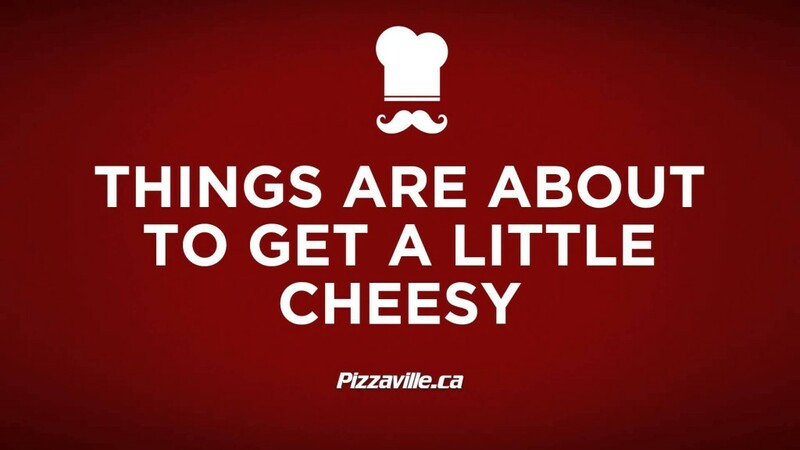 We’ve been fans of Pizzaville for years! Everything from the décor at their locations to their choice offerings indicate that they aren’t just about creating great food, they’re also in the business of great service and adapting to fit into their surroundings and to best meet their customers’ needs. So far, they’ve done deliciously well at achieving these feats in Liberty Village! 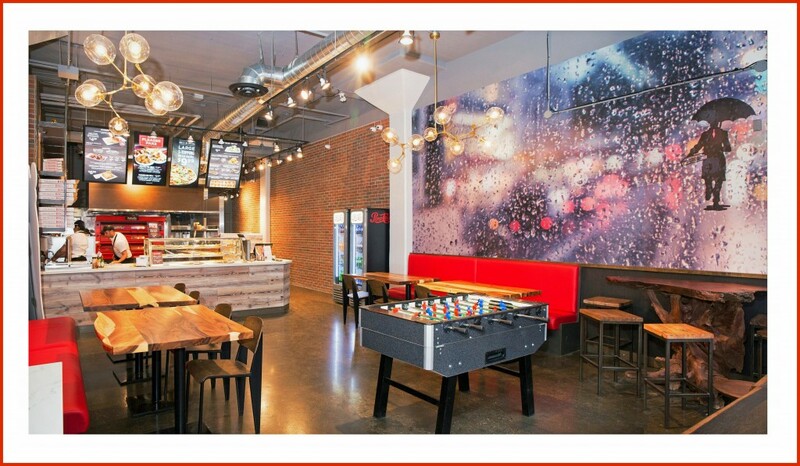 For those condo-dwellers [who] prefer to be out in [Liberty Village], Pizzaville wanted to offer both a place where locals could hang out and enjoy a quick bite but also be able to conveniently order pizza for delivery and pick-up and fast! We wanted to wait to secure the right location (with the right square footage and accessibility) and the right operators. We understood that Liberty Village was a fun and young neighbourhood [and]…that the location, décor, ambiance…would also have to be fun, young and vibrant! To us it’s been a perfect, seamless fit. Walking into their Liberty Village location, you definitely get the sense that the décor is specific to our neighbourhood. It’s in keeping with their brand but with a little extra flavour to make their Liberty Village location feel distinctly like Liberty Village. It’s urban and fresh with restored wood planks, exposed brick, digital menus, family-style bench seating and open shelving. To us, it’s current and very cool. 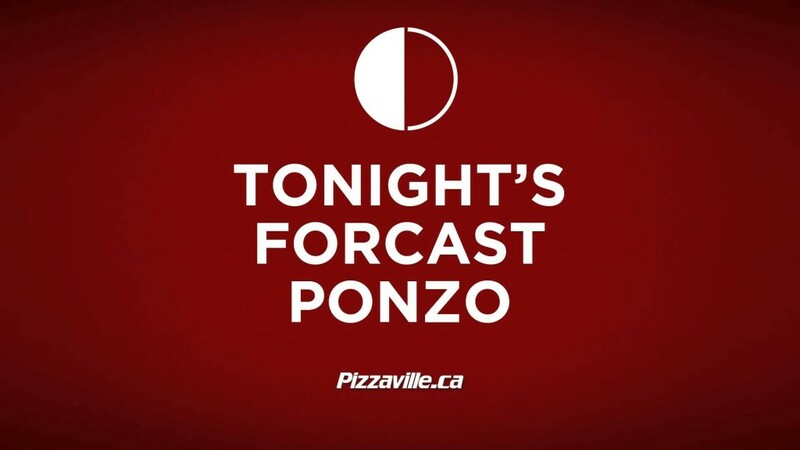 Pizzaville’s newest location really is a pizza “destination” in Liberty Village. Whether you’re getting dinner after heading home from work, in the mood for a quick and delicious lunch or looking for a great place to enjoy a meal while you’re hanging out with friends after hours, Pizzaville Liberty Village is all about dishing out the deliciousness that you’re after while offering a great space to enjoy it all. What deliciousness can you look forward to at Pizzaville Liberty Village and how great is the space where it’s offered? You can order a personal pizza or a few large pizzas to enjoy in between rounds of foosball with friends. And, coming this summer, you’ll be able to enjoy those slices with a few pints! The taps are in place and the beer will soon be flowing! You also don’t have to worry about missing out on any sports action while you’re chowing down at Pizzaville Liberty Village. Their new location is equipped with big screen TVs where you can catch hockey, basketball, baseball, soccer and just about any other game of the moment. 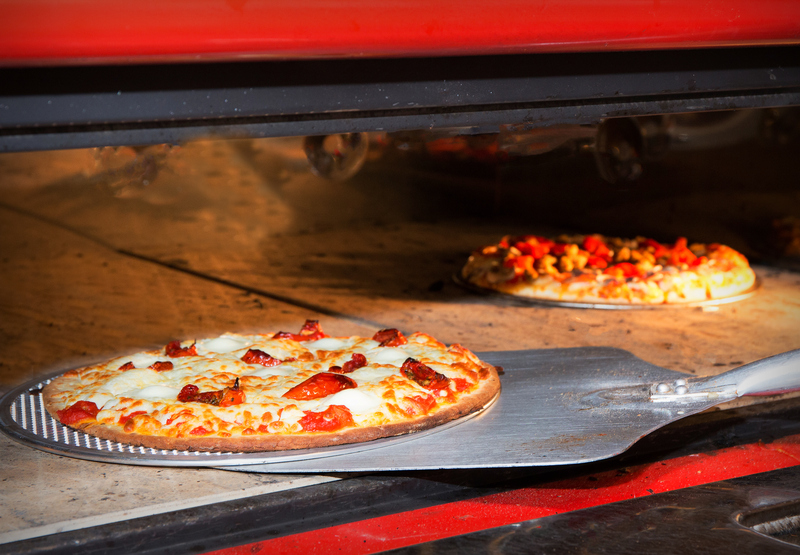 Pizzaville offers great tasting, stone-baked pizzas, made to order – you can build your pizza the way you like! There are different crust options; thin, traditional, whole wheat, gluten-free and thick; different sauce and cheese options and a plethora of veggie [and] gourmet topping options. We have a beautiful gourmet pizza menu, with over 20 combinations to try! Our Liberty Village location also [has] two vegan pizza options to choose from…we have delicious garlic bread knots and maple cinnamon bread knots, chicken poppers (spicy and mild), naked and breaded chicken wings, arancini (rice balls), individually portioned lasagne, salads and panzerottis (baked or deep fried). That description got our stomachs going and we sure that it’s made you that much hungrier as well! Though the Pizzaville Liberty Village grand opening is scheduled for this summer (keep an eye out for the exact date and details), you can enjoy lots of great specials like: any 11” extra-thin crust pizza (serves 2) for $5 (regular $10.99), any pizza slice + soft drink or water for $5, a 2-topping ponzo + soft drink or water for $7.36 and a large 3-topping pizza for only $9.99. To quote their rep: “Everyone loves pizza [and at Pizzaville Liberty Village] there are tons of different combinations you can try, its’ fast and convenient, affordable and TASTY!” There really are lots of reasons to enjoy a meal from Pizzaville and their fun new location in Liberty Village is certainly a bonus! izzaville Liberty Village is located a 5-minute walk from our Liberty Central By The Lake condominiums! You can find them in the Liberty Market Building at East Liberty Street and Hanna Avenue, next to Athletes Kitchen and across from F45 Liberty Village. They’re open from 11:00am to 11:00pm on Monday to Wednesday, 11:00am to 12:00am on Thursdays, 11:00am to 1:00am on Fridays and Saturdays and from 11:30am to 10:30pm on Sundays. We’ll see you there!